This exhibition pairs, for the first time, work by two of the leading artists of the social practice movement. Suzanne Lacy (BA 1967 Zoological Sciences? )?, ?based in Los Angeles, is among the first generation of artists who began making art founded on public participation with the goal of empowerment or change in a community. Pablo Helguera, a Mexican artist based in New York City, represents the next generation of social practice artists influenced by Lacy’s works, writings and teachings. The Schoolhouse and the Bus highlights a touchstone work by each of the artists (with anthropologist Pilar Riaño-Alcalá in collaboration with Lacy), executed in the Americas but never shown in their entirety in the US. Comprising installation, collage, sculpture, ephemera, photography, video, as well as archival documentation, this exhibition will serve to highlight overlapping themes in their works which include immigration, pedagogy, race, violence, memory, and social organizing. Following its presentation at the AD&A Museum the exhibition will travel to The 8th Floor, the exhibition space for The Shelley & Donald Rubin Foundation in New York City. The exhibition will open on February 9, 2018. This exhibition has been curated by Elyse A. Gonzales, Assistant Director/Curator of Exhibitions, AD&A Museum and Sara Reisman, Executive and Artistic Director, The Shelley & Donald Rubin Foundation. The Schoolhouse and the Bus/ La Escuela y El Autobús has been generously funded by Marcia and John Mike Cohen, The Shelley & Donald Rubin Foundation, Eva and Yoel Haller, the Interdisciplinary Humanities Center, the Western Humanities Alliance, and the Department of Art. In-kind support has been provided by Neil Sherman, Industrial Metal Supply. Pacific Standard Time: LA/LA brings a unique opportunity to Santa Barbara, encouraging cross-cultural dialogue and critical investigation of Latin American art in a local context. Sacred Art in the Age of Contact and The Schoolhouse and the Bus are official participants of the Getty initiative. This initiative is a collaboration of numerous arts institutions in California, and explores the historical relationship between Latin America and the greater Los Angeles area through a series of thematically linked exhibitions. Accompanying the exhibitions, each organization offers a season of educational programming, including lectures, workshops, and a Latin American Film series. 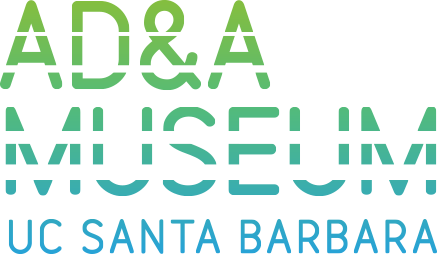 The Santa Barbara collaboration culminates on the weekend of October 20 – 22, 2017, with each institution hosting panel discussions, symposia, performances, and lectures. Pacific Standard Time LA/LA is an initiative of the Getty with arts institutions across Southern California. The presenting sponsor is Bank of America.